I was one of the many who got surprised on Wednesday. Not so much for the lack of withdrawing QE, but more for the lack of acknowledging the improvements the data is showing. The employment numbers have been choppy, with respect to estimates, but have been growing at a healthy clip. 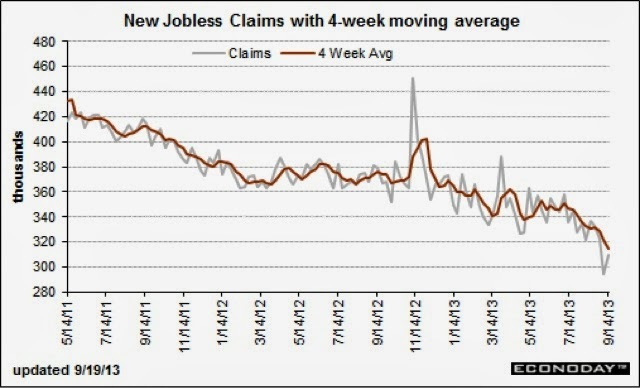 Jobless Claims have been really good. The unemployment rate is at 7.3%. Year-over-year, that is a pretty nice decline. 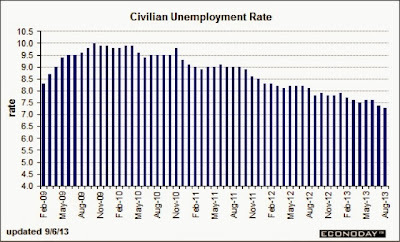 In fact, if looking at the rate of decline, an optimistic estimate would suggest a 6.5% unemployment in about 4 months. 1. Existing home sales at 6 yr highs. 2. 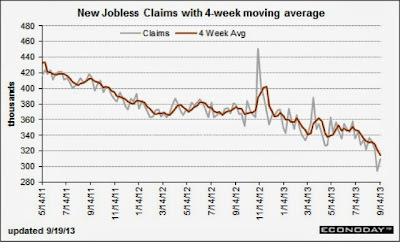 Jobless claims are already a pre-recession levels. 3. Philly Fed outlook spiked 22%! 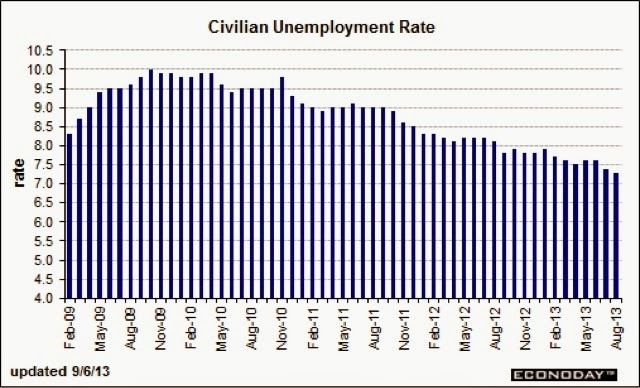 The Fed said they are letting the data guide them, and their key data point is the unemployment number. But their lack of adjustment-in-preparing for withdrawals suggest they are ignoring their target. If the fed gives the markets 4-6 months of 'easy', then the market trading dynamic should be to keep trading at a premium multiple. 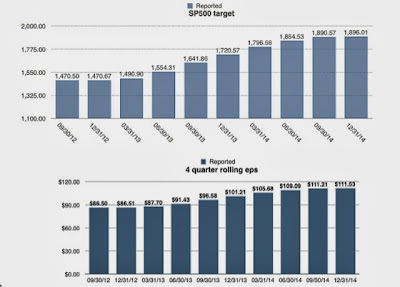 The market (sp500) should maintain a Trailing PE near 17. Assuming, recent estimates hold, the SP500 should be near 1720 by the end of the year. The SP500 is already above the 1730. As such, I'm cautious. A short term trade is setting up so that the market eases from its really over bought condition. Longer-term, who knows what the era of tightening will do, but there is structure the technicians can work with.